A flat and tight abdominal wall is something most men and women strive for but cannot always achieve through a disciplined diet and strenuous exercise routine. This loss of abdominal elasticity occurs most commonly following weight loss or pregnancy. However, Harvard trained, double board certified plastic surgeon Dr. Juris Bunkis offers tummy tuck surgery to bring dramatic improvement to your abdomen. An abdominoplasty or tummy tuck is an operation in which excess skin and fat from the abdominal wall (particularly below the navel) is removed. The remaining skin is then tightened. It is particularly effective in removing stretch marks from the lower abdomen, but it must be understood stretch marks from above the navel cannot be eliminated. Some laxity, particularly noticeable when flexing the hips, will persist. Call Orange County Plastic Surgery in Newport Beach or Dublin, CA to learn more. "Great Doctor - I have had a breast augmentation, a tummy tuck an eye and a brow lift done by Dr. Bunkis. The work is excellent and I do not look like I have implants, unlike most individuals. Natural is the word I would use to describe the work he has done on me. He is kind and has an excellent bedside manner. I will certainly travel to Southern California, from the bay area to have work done again." "Excellent Surgeon - Dr Bunkis has performed 2 surgeries on me. First one was a tummy tuck and breast reduction. Second a few years later some liposuction and microfat grafting. I am very happy with the results. In fact I have referred several friends to him who also had surgeries done. They are thrilled with their results too. Thanks Dr. Bunkis!" "Tummy Tuck - The doctor and the his staff are very nice. They made me feel very comfortable. He answered all my questions and concerns. I had asked to speak to a patient who recently got a tummy tuck done so I could get more insight on recovery and they did it with no problems. He's the only Doctor in his office. All I can say is I'm really happy I chose him!!!!" "Comfortable - Upon arrival for my consultation I was intimidated by the exquisite interior of the office and the perfectly polished staff but my fears were laid to rest within minutes and the doctors were friendly, honest and caring." 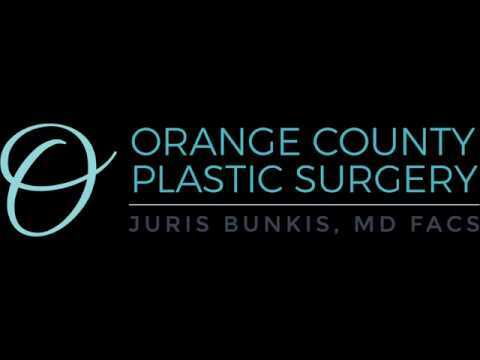 "Dr Bunkis is an amazing doctor and so is his st... - Dr Bunkis is an amazing doctor and so is his staff joe is very sweet and helpful when I call and go in for my check ups"
Tummy tuck patients have the procedure at the Orange County Surgery Center. Some tummy tucks are more invasive than others: for example, some individuals may be candidates for a mini tummy tuck, while others may need an extensive approach. The procedure is performed with the patient under deep sedation or a light general anesthetic and can take anywhere between 2-3 hours depending on the nature of the surgical case. During surgery, drains and pain pump catheters will be placed. The pain pump catheters infuse local anesthetic into the surgical area for the first three days, while the discomfort tends to be most significant, and thus takes away the need for any narcotic medication. Tummy tuck surgery requires a slow approach to recover, and it is important to note that recovery to the point that full physical activity can be resumed may take up to 6 weeks and the scars will take 12 to 24 months to fade completely. The results following a tummy tuck procedure can equate to a tighter, more toned abdominal appearance. Scarring is a part of this procedure; however, our skillfully trained cosmetic surgeon creates the incisions with care, placing them in inconspicuous areas so that undergarments can hide them. Patients often feel that the skin removal and flat appearance of their stomach far outweighs any scarring that resides after surgery. If you want a slimmer, more flattering figure and have noticed that no matter how hard you work a pooch still resides in your abdominal area, a tummy tuck may help you reach your goals. We also welcome weight loss patients who are seeking skin removal surgery to finalize their weight loss transformation journey. Schedule a consultation with our office today and learn how a tummy tuck can revamp your appearance and self-confidence.